My daughter is a born crafter. You give her pretty much anything and she can come up with a creative idea to turn it into something crafty. She just really enjoys using her hands and her creativity to make things, especially when it comes to making them for others. 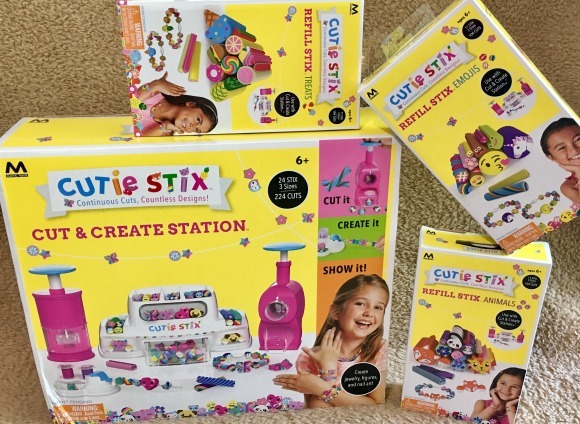 Knowing that I knew from the get-go she would love the Cutie Stix Cut & Create Station. It had everything she needed to craft and create all sorts of fun things. Of course her being out of the box unique she didn't stop at just creating jewelry with the included parts, she was making the beads and using them for everything she could think of. She had them braided in her hair, looped through her shoe strings, and even on one of the cats collars. Let me tell you she was a crafting machine! I loved seeing her get so excited when she was thinking about all the ways she could use them and the things she could make for her friends. She's already got matching bracelets for her and a couple of her friends to wear on the first day of school. I'm already wondering how long it will be before she's asking me to buy more refill kits because I can only imagine it won't be long before hers start to run low. As a parent it's great to see your kiddo having a good time and using their imagination to create things outside of what a craft set suggests. I for one am always happy to see my daughter getting creative and using her imagination. Too often kids will take shortcuts now days and only make exactly what a package shows them. This set gives them tips on what to make, but also opens the world of possibilities to them too. So I would say if you purchase this be sure to point out that they don't have to just make jewelry they can add the beads to everyday things to give them some added fun! Cut it, create it and show it.The Cutie Stix Cut & Create Station is the all-in-one activity empowering you to design a variety of visual goodies... your way!You can craft customizable bracelets, necklaces, nail art, fun animal figures and more with colorful, two-sided beads that you cut. And the Cut & Create station makes it so easy and fun to express yourself. 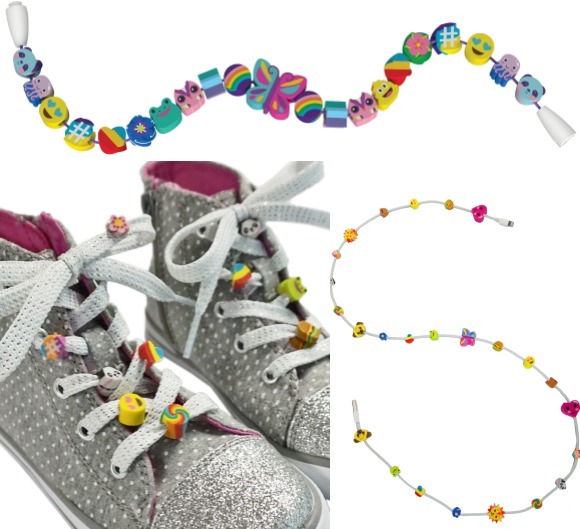 Simply choose your Cutie Stix design, cut it and core out the center to make and show off your fashion-forward creations. With continuous cuts, the design combinations are endless!